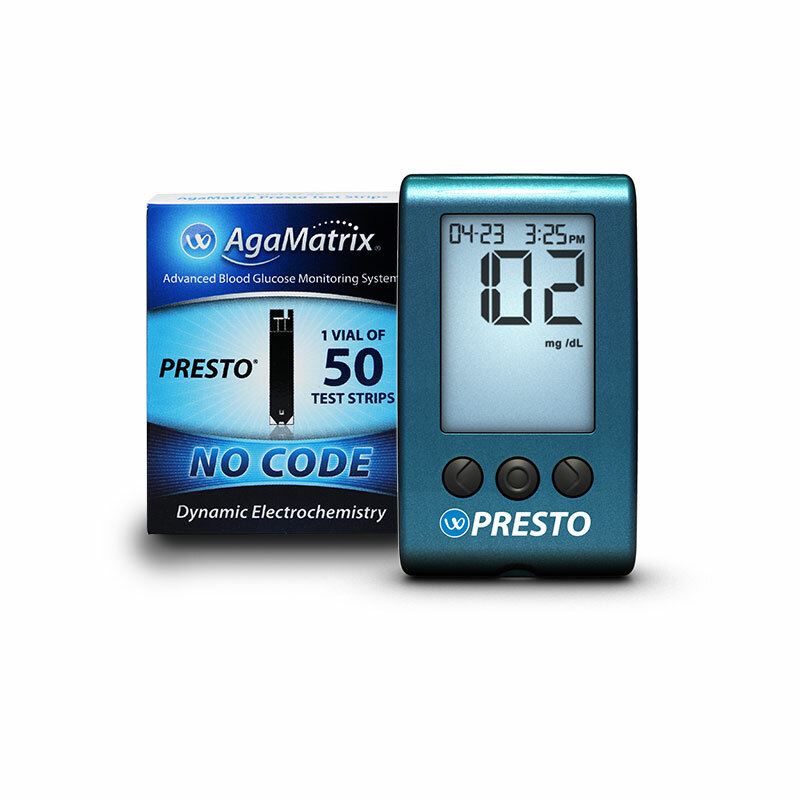 The AgaMatrix Presto Meter kit has all the features of the market's leading blood glucose meters. Features include 0.5ul sample size, alternate site testing and more. Best of all, there is no coding required. This offer is for 1 meter kit and 50 test strips. 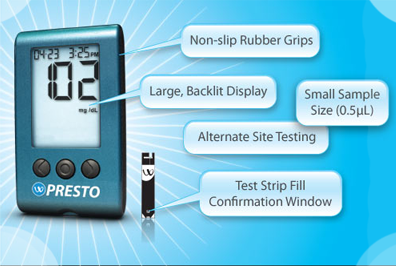 The AgaMatrix Presto Meter Kit has all the features of the market's leading blood glucose meters. Features include 0.5ul sample size, alternate site testing and more. This meter requires NO CODING! The AgaMatrix Presto has an ergonomic design for easier handling, small sampling size of 0.5ul, it is as fast as 1-2-3®, and alternate site testing. Considering all these features, the AgaMatrix Presto is priced considerably lower than its competitors. This offer is for 1 meter kit and 50 testing strips. This blood glucose monitoring system is capable of averaging test results in 14, 30, and 90 day intervals. It also ability to graph on the screen! Download your results via the convenient USB connection and view your numbers in easy to understand reports.